The Deputy Programme Manager is responsible for ensuring that all financial, operational and administrative aspects of Purnima run effectively. 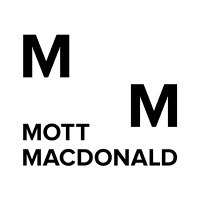 S/he will be based in the Mott MacDonald Sanepa Office, with travel to District offices as required. Mott MacDonald is managing the £40 million UK aid-funded programme: ‘Purnima: UK Support to Post-Earthquake Recovery in Nepal’ in four Districts (Gorkha, Dhading, Nuwakot, and Rasuwa). This programme aims to achieve long-term positive change in the lives of people in earthquake-affected regions of Nepal. Mobilizing and managing a Challenge Fund to leave no-one behind (LNOB) in the reconstruction effort. Other duties as may be assigned from time to time by the Programme Manager. Ensure the programme team receive adequate operational and logistical support to conduct all Technical activities, including, but not limited to: organising transport and accommodation, technical events, and managing logistics for field visits. Work with the Output Leads to ensure all activities are properly budgeted in accordance with the contract. Ensure timely and accurate invoicing to the client. Please apply through the following link by 24th August 2018.